Vitamin Injections London is proud to introduce our brand new IV therapy Franchise Package. Backed by a close-knit interdisciplinary team with many years' experience in IV cannulation, phlebotomy, entrepreneurship, and aesthetic medicine, business professionals and medical practice owners can now run their own Vitamin Injections London (VIL) franchise supported by our market leading business model. With full business start-up support and on-going training included, we'll ensure your IV therapy franchise gets off to a head start with our set injection menu and comprehensive line of branded VIL retail products. You'll also have the competitive advantage of operating under our renowned and instantly recognisable brand name. As a premium supplier of vitamin injection services and products, VIL spearheads robust technical protocols and provides an exemplary level of client care. 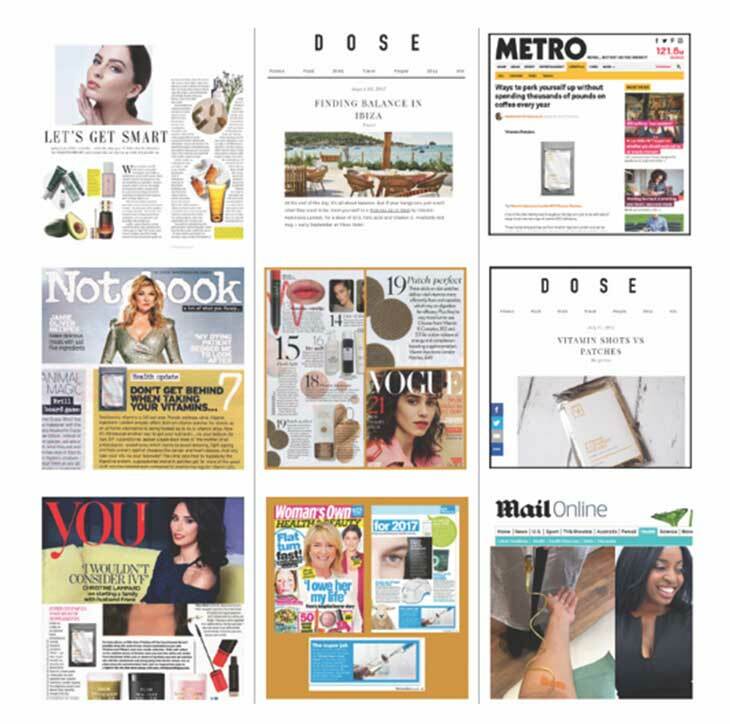 Adopted across the industry, our services and products are regularly featured in top lifestyle publications throughout London, the UK, Europe, the Middle East and Africa. We benefit from a centralised clinical headquarters and training centre in London’s Marylebone, where our visiting clientele include some of today’s best-known media personalities, beauty editors and social media influencers. The success of our company’s business model has led us to expand our operations and launch one of the most exciting IV therapy franchise opportunities available in the vitamin nutrient therapy industry today, covering the UK, EU, and selected overseas territories. Structured, professional and ongoing IV/IM cannulation and injection training for practitioners, as well as regular staff training days. We offer top quality and FDA compliant services and retail products, along with a strong brand identity, and targeted training protocols. These are our Unique Selling Points (USPs), and are they remain at the core of our franchise package. Franchising with VIL is an attractive prospect for first-time clinic owners as well as those with previous industry experience. Our package enables you to build your own vitamin nutrient therapy enterprise with the full support and backing of our established business model and executive Clinical Director and CEO, who has succeeded in the cut-throat climate of the UK medical aesthetics industry, along with the equally competitive subdivision of IV nutrient therapy. Whatever your level of business experience, there is no question that you will be in expert hands from the outset. With VIL, you will never be left high and dry in the setup and ongoing requirements of your business. Incorporate a VIL IV therapy franchise into your current business (medical clinic, dental practice, holistic therapy practice, salon). Start a brand new business – ideal for entrepreneurs who do not have an existing vitamin nutrient therapy clinic yet are looking to add this to their portfolio. Get details about our one-off franchise fee, ongoing support fees, and percentage of annual sales turnover (excl. VAT) fees. Simply complete the form at the bottom of this page. This depends on the area you wish to launch your VIL clinic in, as well as factors concerning your target market, geographic location, the number of staff members employed, premises, and available treatment rooms. As part of our IV therapy franchise package, we help you source the most ideal location based on market research. We can also help you locate and refurbish a suitable premises for your new clinic, or incorporate one into your current premises. The GAR of £400,000 GBP per annum from modest treatment and product sales alone should thus be attainable once your VIL IV therapy franchise business is established. In order for VIL to expand and grow, we need you to achieve a range of key objectives, which means that we will be heavily invested in the success of you and your team from the outset. * Based on 15 treatments per day (30 mins per treatment), 5 days per week (Monday to Friday). ** Based on our most popular treatment, the Pick Me Up IV. *** Gross profit, subject to costs. Franchising with VIL is an attractive prospect for first-time clinic owners as well as those with a pre-existing business. It enables you to build your own vitamin nutrient therapy enterprise with the full support and backing of our established business model and executive Clinical Director and CEO, who has succeeded in the cut-throat medical aesthetics industry as well as the equally competitive subdivision of IV nutrient therapy. Whatever your level of business experience, there is no question that you will be in expert hands from the outset and will never be left ‘high and dry’ in the setup and on-going training requirements of your business. At Vitamin Injections London, we're ready to welcome you on-board. If you’d like to discuss our exciting VIL franchising opportunity further, please fill out the form at the bottom of the page and our executive team will be in contact with you shortly. This gives you the opportunity to outline your situation and requirements, and for us to answer any initial questions you might have. Should both parties wish to proceed to the next step, we will send you a formal application form and a confidentiality agreement.